I developed my taste for Kerala cuisine in Kolkata when I used to stay with Padma Aunty as a paying guest. 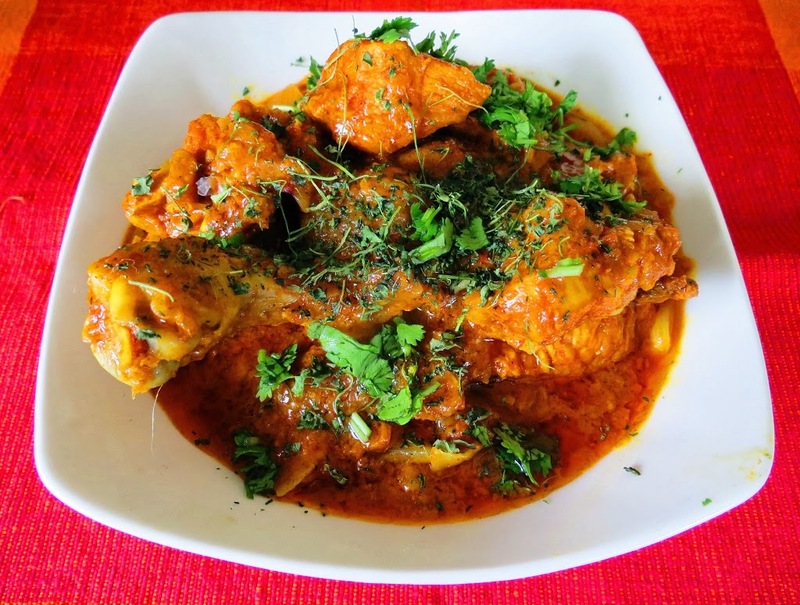 The combination of ginger, coconut milk and curry leaves used to go well with be it fish, chicken or egg. Here in Hyd, we visit Kairali and Uttupura pretty often to taste their roasts with appams. 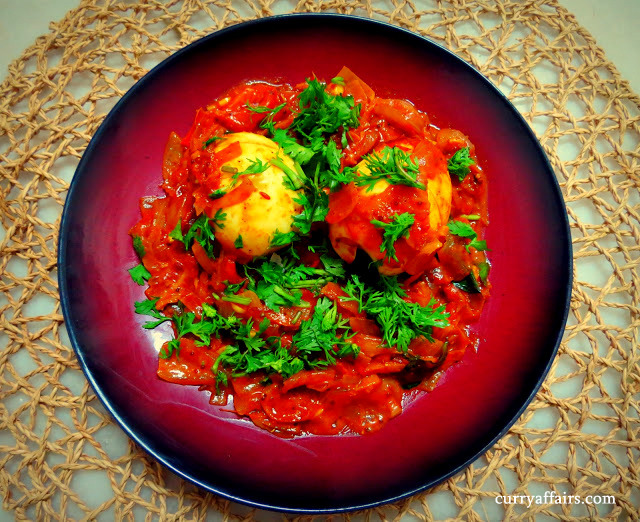 Decided to cook Egg roast today and found a good recipe on VahReVah.com. 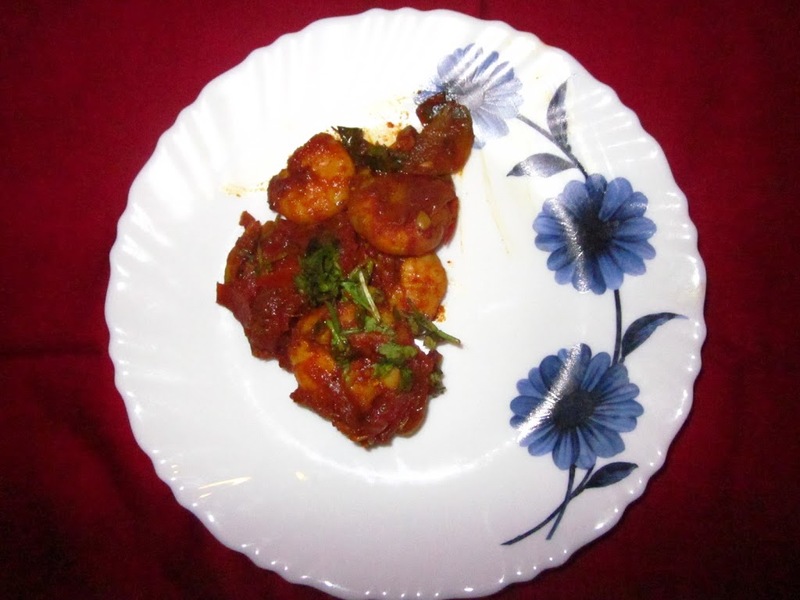 I followed this recipe and the dish was extremely tasty – exactly the same as I have tasted in Kerala. The key here is the 2 tbsp of coconut milk that adds the flavor and brings together all the spices together. 1. Heat 1 tbsp oil in a pan. When the oil is hot, add 1 tsp cumin seeds and 1 tsp mustard seeds. When they splutter, add 5-6 finely chopped cloves of garlic, 1 inch ginger finely chopped and saute. 2. Add 2 finely chopped onions, 1/2 tsp salt and saute till the onion is slightly brown in color. 3. Add 1 sprig on curry leaves, 2-3 slit chillies, 1/2 tsp turmeric, 1tsp chilli powder, 1 tsp coriander powder and 1/2 tsp garam masala powder and saute all till the raw smell of the masala is gone. 4. Add 1 finely chopped tomato and saute till the tomato is mushy. 5. Now add 2 tbsp coconut milk (I prepare coconut milk using coconut milk powder), 1 to 2 tsp tomato puree and mix well. Add 4 boiled eggs (I made some slits on them) to the base, mix well and cook for 4-5 mins on a slow flame. 6. Garnish with finely chopped coriander leaves and serve hot. 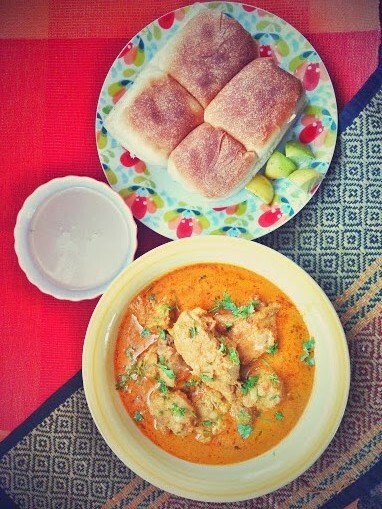 This dish goes well with appams, but we managed with rotis.